The small medieval town of Ninfa lies in the middle of the beautiful garden estate “Giardini di Ninfa”. This project recorded the remains with archaeological and historical architectural focus. The results included a detailed 3D model of all walls and historical structures of the old town as well as an extensive terrain model of the “Latium“ and the Pontine plain. The multimedia trailer “Ninfa – The Pompeii of the Middle Ages“ introduces historical background information and documents the scanning procedure on site, which you may find at the bottom of the page. After extensive preparations, the project was launched in December 2011. 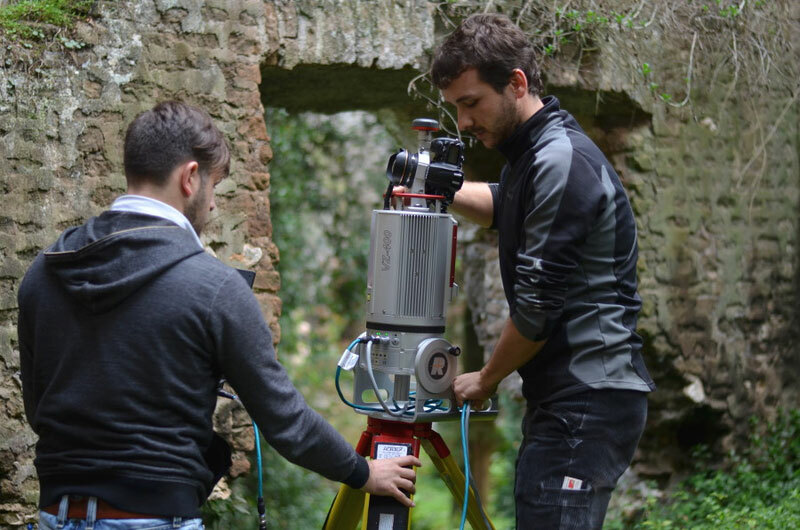 Latest surveying technologies were deployed for the 3D documentation of Ninfa. The tasks were carried out by a small surveying team in two weeks. The basic data processing was done at our headquarters near Regensburg. Different technologies were combined in order to realize this complex 3D documentation. 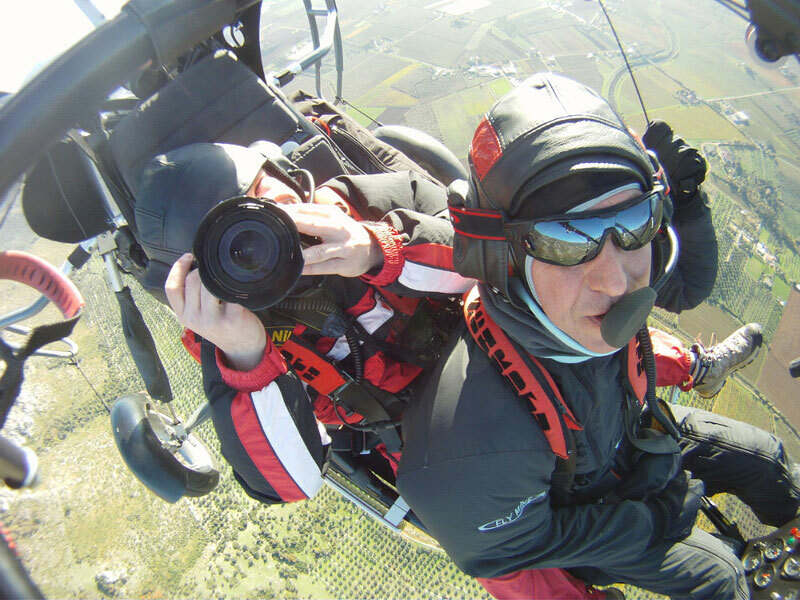 Terrestrial high-resolution scans were combined with airborne records from an ultra-light paraglider trike and a camera drone. The advantage of our ultra-light aircraft is its cost efectiveness and easy transportability. It can be started and landed on a simple meadow and can fly very low and precise. This results in very accurate high-resolution images for 3D photogrammetry. Two complementary flights recorded further sites, that influence the landscape: the monastery of Abbazzia de Valvischiolo and the medieval town of Sermoneta (see picture title banner). Some of the Nifa remains are more than 10m high. Such combined photogrammetrical documentation methods are of great importance for assembling a complete digital record of Ninfa. The evergreen vegetation covering some village parts even in winter was a special challenge. We deployed a recently developed camera octocopter for recording high-resolution images from an adjusted height. This way, the old wall structures could be recorded in high detail. Even remote parts, out of reach for usual equipment, could be surveyed. For a reliable registration of all survey data, we deployed a terrestrial 3D scanner with GPS and total station. The images were processed in our own software aSPECT 3D, which can compute 3D point clouds from digital image series. Using Geo-Eye satellite data, we constructed a large scale landscape GIS of the Latium and the Pontine plains. During the project, all available data and information (also historical maps) was georeferenced, stored and managed in this system. The project is still on going. Further information will be provided as it progresses. Ninfa, situated between Rome and Naples, is an exceptionally well preserved 14th century city ruin. Its owners, the old Roman noble family of the “Caetani”, laid out one of the most beautiful romantic gardens in English style around this ruined city in the early 20th century. Today it is administered, maintained and developed by a foundation. In 2011, the German Historical Institute in Rome, in collaboration with the Johannes Gutenberg University in Mainz, began the investigation of this unique cultural monument. 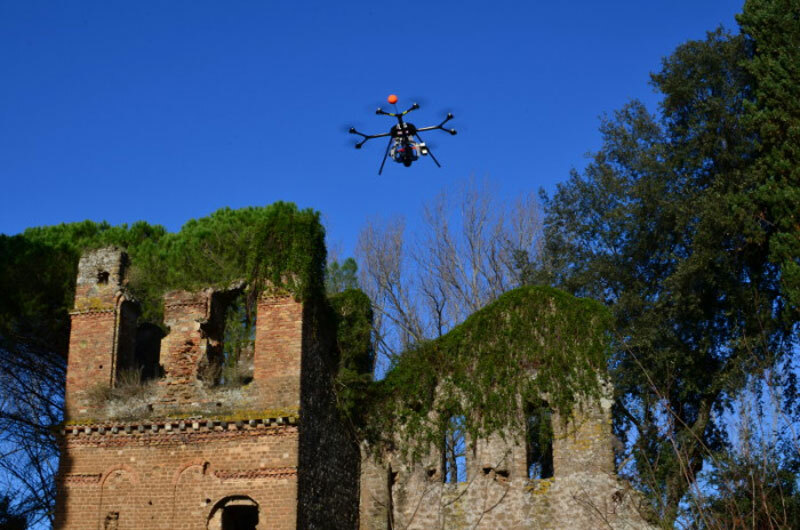 In addition to the evaluation of the preserved written sources, the most modern airborne and laser-assisted surveying methods and targeted geophysical investigations could also be carried out. 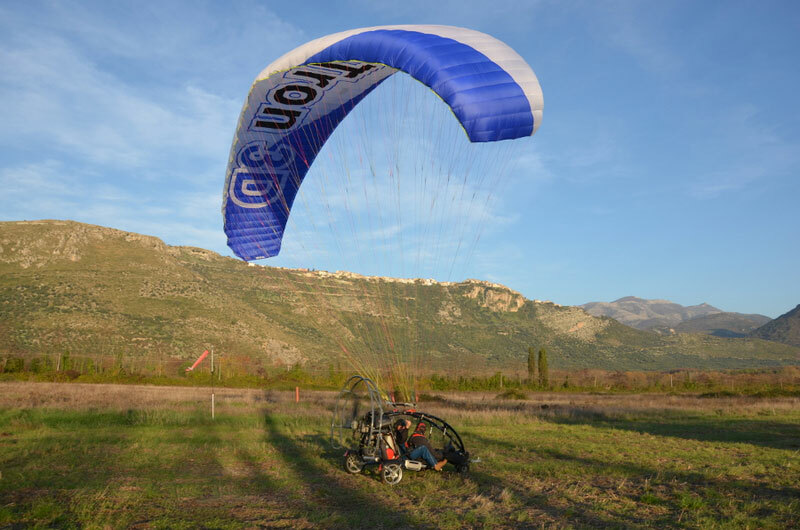 For airborne photogrammetry, ArcTron used an ultra-light paraglider trike equipped with the appropriate technology and a newly developed Octocopter drone. 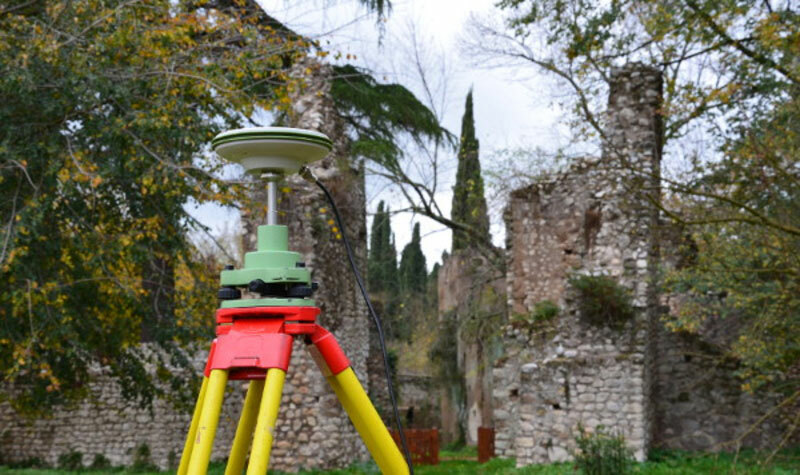 Finally, a terrestrial 3D scanner together with GPS and total station were used for the reliable metrological combination of all collected data. 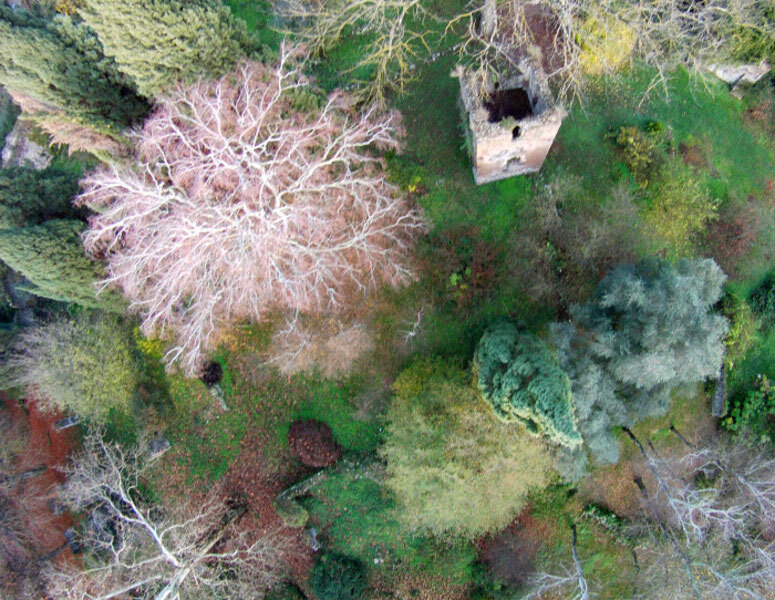 Not only Ninfa itself, but also the nearby Romanesque monastery Abbazzia del Valviscolo and the nearby medieval town “Sermoneta”, also dominated by the “Caetani”, were documented from the air. Buildings can be virtually reconstructedon the basis of the millimetre-precise scan data. In this way, Ninfa – at least digitally – could one day come back to life and thus be preserved for posterity.